Raccoons may look cute and seem harmless, but these animals can carry diseases and affect your home if they take up residence in your area. Raccoons are a common reason for residents to seek out rodent management near Pleasanton . 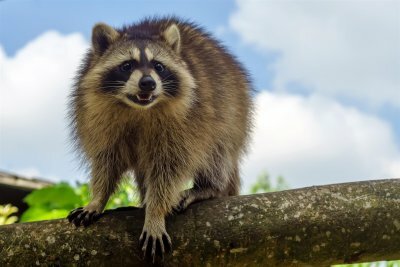 It’s uncommon for a healthy raccoon to attack a human or show aggression, but some diseases that they carry can be spread without direct contact. By dealing with raccoons right away, you can eliminate potential risk to you and your family. Raccoons are one of the primary carriers of the rabies virus in the United States. It’s not unusual for raccoons to be active in the daytime. Instead, there are other indicators that a raccoon may be infected with rabies. They may have discharge coming from the eyes and mouth, and matted or wet fur on their face. Afflicted animals may exhibit a staggering gait, make repeated high-pitched noises, and seem unaware of their environment. Some infected raccoons will also scratch or bite at themselves, causing self-injury. If you think a raccoon may be carrying rabies, contact rodent control services. Leptospirosis is a bacterial disease that is able to infect certain mammals, including raccoons. Infection can lead to severe conditions such as meningitis or kidney damage in humans. Coming into contact with the urine of an infected mammal, or with dirt that may be contaminated, can expose humans to this disease. If raccoons have entered your home or property, it’s important to contact a professional in rodent control to avoid risk to yourself and family. Found in raccoon feces, this type of roundworm can infect both humans and pets. You can avoid the risk of infection by keeping children and pets away from raccoon feces when outdoors, and by eliminating any raccoons that may be living in or around your home. If you have a raccoon problem, contact rodent exterminator services or animal control to prevent raccoons from contaminating your house or property. 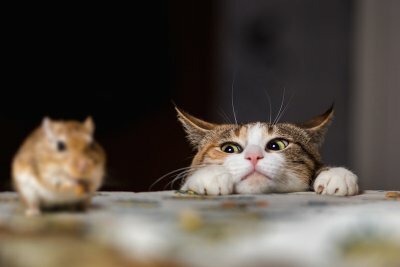 If you wish to avoid the hassle and cost of mice extermination, one of your best options is to consider mice proofing . Rodent control starts with prevention. 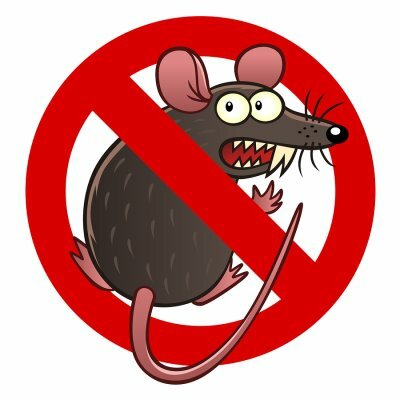 By taking a few precautions now, you can potentially avoid having to call a rodent exterminator near Pleasanton in the future. It’s not uncommon for homes to have holes. Typically, these are holes made to run pipes and cables into and throughout the house. It is vital that these holes be sealed when mouse-proofing your home. A good seal can be made from a combination of steel wool and a pliable sealant, such as caulking. Mice can make their way into your home through holes as small as 0.5 cm in diameter. Holes this size are big enough for them to access with their mouths and then chew into a larger gap. An important step in mouse prevention is making your home unappealing to mice. Mice are opportunistic feeders, and will try to get at any food or water that they can find. Eliminate food sources by sealing all food containers tightly, including pet food and bird seed. Ensure that your home’s food preparation surfaces are clean of all food debris, and that no crumbs are left on the floors. Pet food and water bowls provide mice with a food source that is constant and easy-to-reach. Elevating the bowls and placing them away from foundation walls will make them less accessible to mice. Mice will eat nearly any food that they can access. Make sure that all trash gets into your trashcans, that their lids are latched closed, and that they have no holes for a mouse to use as an entry. Trim any tree branches or plants that mice could climb to reach the roof of your house, and keep your lawn trimmed short to offer less shelter to rodents. Applying these prevention methods will help keep mice and other pests out of your home. A mice or rodent infestation can seriously compromise your health and safety, and should swiftly be handled by an experienced mice exterminator serving San Jose . Mice breed quickly, and can cause extensive damage to the structure of your home. Here are some quick facts about mice that can help you identify a rodent infestation, perform effective mice proofing throughout your home, and recognize when mice extermination is necessary. Mice can remain out of sight for long periods of time, allowing them to nest, breed, and cause a lot of damage to your home. They particularly like to live in small, warm, dark areas, such as inside walls, cabinets, and in attics or basements. You can identify a rodent infestation by checking for the telltale signs that mice leave behind when eating or building nests. You may notice that boxes or bags of food have been gnawed through, or that food you have left out on counters has been eaten. You will see rodent droppings and urine in corners, along baseboards, in drawers, or in cabinets. Wooden structures, upholstery, bedding, clothing, and insulation will show signs of chewing and tearing. You can also look for footprints and tail marks in dusty surfaces. Mice can enter through very tiny cracks and holes in your home. A mouse exterminator or rodent control expert can give you advice on mice proofing your home to prevent a rodent infestation. This may include sealing up cracks and holes, or covering them with thick canvas or mesh wiring. You should also avoid leaving food out that may attract mice, or letting clutter build up in or around your home. You should contact an experienced mice exterminator at the first signs of a rodent infestation. Mouse droppings and urine carry pathogens, bacteria, and disease that can contribute to serious health problem. Their fur can also exacerbate allergies and respiratory problems. They also cause structural damage and electrical damage that can make your home unsafe to inhabit.